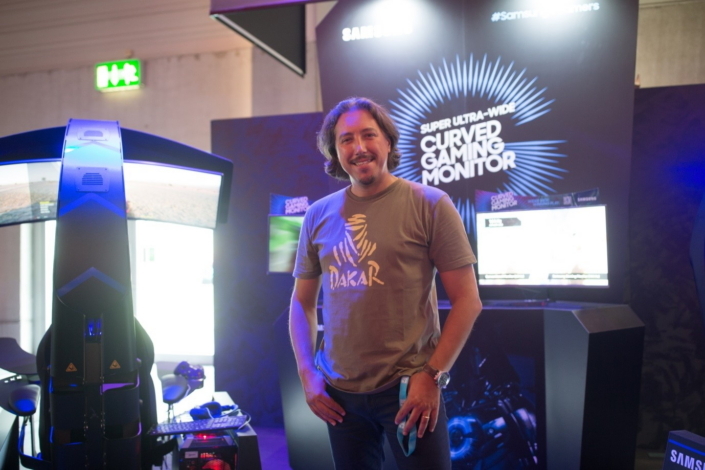 On August 21, Samsung Electronics unveiled its new CJG5 curved gaming monitor at Gamescom 2018 in Cologne, Germany. Offering strong benefits for casual and serious gamers alike, the CJG5 monitor is also well-equipped for the general user. As more and more people explore the myriad fantasy worlds of role-playing games, or the rapid-fire action of first-person shooters, there is increasing demand for a computer monitor that brings even greater value to gamers. In order to explore the monitor’s features in more detail, the Newsroom caught up with Paulo J. Gomes, Director and Producer of Bigmoon Studios from Deep Silver. Gomes gave his expert, hands-on opinion of the monitor while playing Deep Silver’s DAKAR 18. The faster the refresh rate, the more fluid the motions on the screen, creating smooth images free from blurred movements. This lowers latency on cursor movements and scene transitions, improving the speed and efficiency of your work and play. With rapid refresh rates of 144Hz – significantly over and above the standard monitor refresh rate of 60Hz – the CJG5 was designed to deliver a more realistic in-game experience without interruption. Response times also prove key to reducing a player’s overall reaction speeds and, at 4 milliseconds(GTG), the CJG5’s response times give players a competitive edge. This means that the monitor is well-suited to playing high res games, as it reduces eye strain and produces no afterglow. It is an era when visual media continues to push for even more content in high definition. The growing Wide Quad HD (WQHD) market is responding to these demands with higher resolutions, providing crisp detail and pin-sharp images. With a resolution of 2,560 x 1,440, the CJG5 monitor has a real estate approximately 1.7 times larger than a Full HD device. The WQHD device lets you see more of what you want on the screen, reducing the need to zoom or scroll as you navigate documents and webpages. Better picture quality also improves the gaming experience, as the display gives players a wider field of view so that they can see and react quicker. Those who spend a significant portion of the day looking at a screen may experience eye strain due to intensive use. 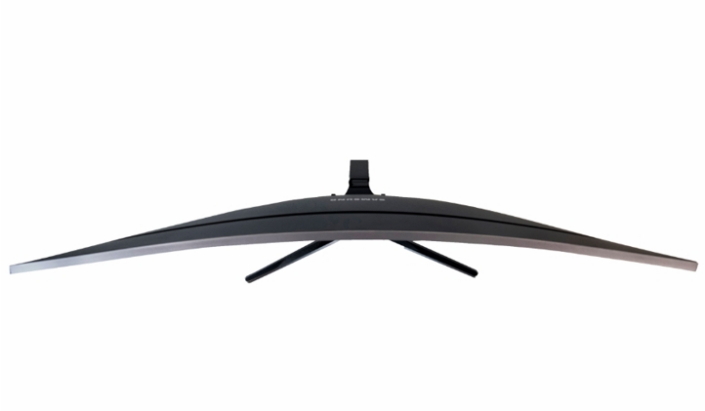 The CJG5’s 1800R curvature can help to improve comfort levels when looking at the screen for a long stretch of time, reducing eye fatigue and strain. “In addition to the effects of the curved screen, Samsung’s Eye Saver Mode reduces fatigue-inducing blue light emissions and the monitor’s Flicker Free feature suppresses screen flicker, allowing less strain on your eyes,” Gomes remarked. The curved display can also provide a more immersive experience for gamers, heightening the sense of realism. The monitor is also packed with features which quickly optimize settings for particular viewing experiences. The CJG5’s game display mode instantly adjusts black gamma levels, contrast ratios, sharpness and color value settings for any game genre including FPS(First Person Shooting), RTS(Real Time Strategy), RPG(Role Playing Game), and AOS(Aeon Of Strife) – while the cinema mode does the same for movies. The monitor is equipped with a Game UI, which offers an OSD dashboard menu for an instant overview of key settings. “I particularly appreciated the image enhancement setting on the OSD dashboard to really enjoy the graphics throughout the game,” Gomes shared. A high contrast ratio can be a game-changer, adding a new dimension to the images displayed on the screen. Players can spot objects and movements in dark arenas or landscapes more easily. Samsung’s VA panel technology offers an industry-leading 3,000:1 contrast ratio, which creates deeper blacks, brighter white and richer colors. This depth and vibrancy enhance gameplay, adding to the sense of immersion. Equipped with a rapid refresh rate and response time, WQHD picture quality, comfortable screen curvature, optimized gaming features and a best-in-class contrast ratio, the CJG5 monitor provides gamers with real value.